It's giveaway time! 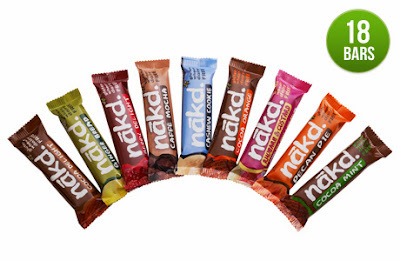 Who fancies a chance to win a case of Nakd Bars? Well one lucky reader of Garden, Tea, Cakes and Me will win a case of healthy Nakd Bars thanks to Natural Balance Foods. Nākd bars are completely different to other cereal bars because they’re made with a wholefood approach, which means that we believe in minimal processing and we don’t add any sugar, syrups or mysterious additives to your food. So if you are looking for a healthier alternative for those days you want to avoid chocolate, or you are in a rush and looking for healthy breakfast ideas, Nakd bars is here to help. Would love to win this - I particularly like the rhubarb and custard bars! Tweeted and facebooked, no idea what Klout and Kred are. Ive never had these but dont eat any processed foods anymore as much as I can. Thank you for the information.